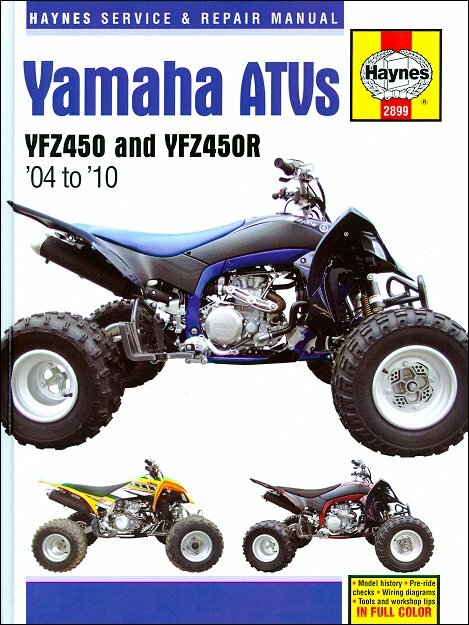 Yamaha YFZ450, YFZ450R ATV Repair Manual 2004-2010 is available for only $34.95 from TheMotorBookstore.com. Largest selection of Clymer, Chilton, Haynes, Bentley and Seloc repair manuals at discount prices. Remember to take your Yamaha ATV repair manual whenever you ride. It will easily fit in your gearbag, toolbox, or glove box. Not the Yamaha repair guide you need?